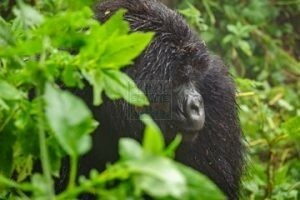 4 Days Bwindi Gorilla Safari in Uganda Wildlife Safari Queen Elizabeth Park is Gorilla trekking Safari in Uganda`s Bwindi Impenetrable National Park & a Uganda Wildlife safari in Queen Elizabeth National Park. Enjoy a 4 days Gorilla safari Uganda tour based on your budget, from basic to luxury for the ultimate African Uganda safari experience. The 4 Days Bwindi Gorilla trekking Safari Uganda Wildlife Tour Lake Mburo is a perfect blend of Lake Mburo National Park and Bwindi Impenetrable National Park. The wildlife encounters in Lake Mburo National Park including; Impala, Zebra, Eland, Topi, Waterbucks, warthogs, buffaloes among others and the recreational boat cruise on Lake Mburo that brings out the aquatic biodiversity combine with the gorilla trekking experience in Bwindi to generate ultimate safari experience. 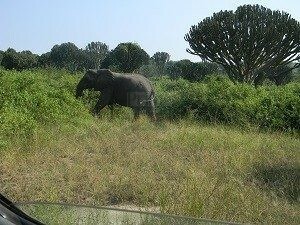 After breakfast embark on the journey to Lake Mburo National Park. You will drive out of Kampala towards the south west before making a stop at the Equator 77km from Kampala for amazing photo shoots and water experiments featuring the geographical divide between the northern and southern hemispheres. Continue on the drive to Lake Mburo amidst the lush countryside shaped by the local activities that support people’s livelihoods. You will arrive early for lunch and relaxation after which you will embark on the afternoon boat cruise on Lake Mburo to enjoy recreational calm waters amidst sights of Hippos and birds like African fish eagle. Return to the lodge for overnight. Wake up for an early morning game drive though the designated park tracks and have chances of encountering Elands, Zebras, Impalas, Waterbucks, Buffaloes, warthogs among others. Birds including Kingfishers, African fin foot, crested cranes among others can be seen. After the game drive return to the lodge for simple relaxation after which you will embark on the transfer to Bwindi impenetrable National Park 261km. You will reach in the evening for dinner and overnight. Accommodation: Gorilla Forest Camp (Upmarket/luxury), Engagi lodge (Midrange/standard) or Buhoma Community Bandas (Budget/Basic). Following a relaxed breakfast at your lodge, you embark on the drive back to Kampala 437km about 7 hours’ drive. You enjoy the scenic countryside including the Ntungamo hills before approaching Mbarara town and making a stop at Igongo Cultural Center 12km past Mbarara for a thrilling traditional lunch where you can also take an optional tour in the Erijukiro Cultural Museum featuring the collections from all tribes of south western Uganda. You proceed to make another stop at Uganda Equator crossing Kayabwe for amazing photo shoots with one leg in the southern hemisphere and northern hemisphere and you can also attend to the water experiments that justify the geographical divide between the north and southern hemisphere. The site also has good gift shops where you can purchase a souvenir to take home. Proceed to Kampala to mark the end of the tour.